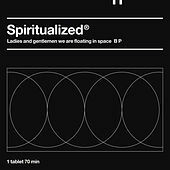 Few titles have better expressed the sound and feel of their respective albums than Spiritualized's Ladies and Gentlemen We Are Floating in Space (although Spacemen 3's Taking Drugs to Make Music to Take Drugs To is certainly up there). Marrying psychedelic pop, gospel, ambient electronics and down-and-dirty rock 'n' roll, Spiritualized's 1997 masterpiece comes across variously like a shoegaze Rolling Stones, a 22nd century Velvet Underground and Suicide jamming with Dr. John. Once you come up, you won't ever want to come down. 1997 Dedicated Limited. Dedicated Limited is wholly owned by Sony Music Entertainment UK Limited.